A new swatch book for Mondi’s BIO TOP 3, designed with the needs of creative industries in mind, is now available in Europe. 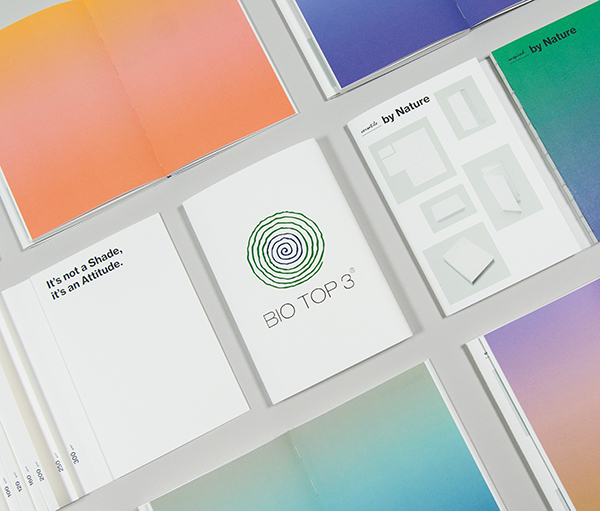 BIO TOP 3 is a premium uncoated off-white paper. The new swatch book, with the theme ‘by Nature,’ shows off the BIO TOP 3 portfolio. The offset printed book provides beautiful examples of colour printing and blind embossing in a section entitled ‘inspired by Nature’. Another section called ‘versatile by Nature’, which is stitched to the cover of the swatch book, explains the applications and benefits of BIO TOP 3 in areas such as corporate communication, book printing, and packaging. Mondi offers ‘BIO TOP 3 next’ in folio and reels for professionals in digital, preprint and offset printing, ‘BIO TOP 3 high-speed inkjet’ in reels for full colour high-speed inkjet applications with special surface treatment for dye and pigment ink, and ‘BIO TOP 3 extra’ for sustainable office printing needs with matching BIO TOP 3 envelopes. In addition to its off-white shade and high bulk, BIO TOP 3 is totally chlorine free and made without optical brightening agents. BIO TOP 3 is part of Mondi’s Green Range and carries the EU Ecolabel.